Smarties, it’s January. The kids are FINALLY back in school (is it just us or was that the longest winter vacation EVER?!). It’s time to hit the “reset” button and get organized. Maybe it’s your home that needs organization, maybe it’s your clothes, maybe it’s a pantry full of junk that needs a little (or a whole-lot-a) purging. We all know what it’s like, so that that’s why we are bringing you the most awesome organizing giveaway ever to hit the QC – meet the 2014 Smarty Pledge to Purge Giveaway! We collaborated with a group of the most organized and “refreshing” ladies in town to come up with this fun purging exercise. 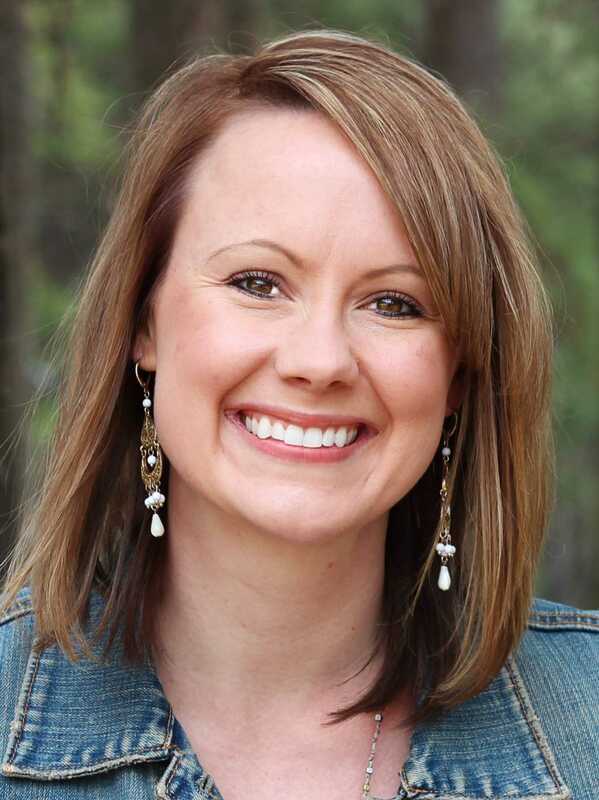 Meet Christine Nelson of Simply Sassy Coach, Cindy Williams with Green Jeans Consignment, the FAB FOUR LKN moms of Sail Again Children’s Consignment, Laurie Martin of Simplicity and Adri Warrick/Carolyn Hallett of The Whole Tulip. These ladies were handpicked to help you achieve your “reset” goals. So here’s the deal. We will have FOUR winners, one for each zone. Please fill out a survey for each zone you’d like to win. Are you happy to win any of them? Then fill out every survey! Don’t be shy in your answers – these ladies are going to pick the best submission based on their goals and your goals. Winners will be selected on Monday, January 20th. Work with your coach begins immediately! The best part? You get to share and document your experience on CSP! Yes, you! The week of February 10th will be dedicated to the before and after footage of your makeovers. How cool is that?! Aside from filling out your entries, we kindly as that you share this on facebook (click fb icon and share away!) and like all of our pages. You also have to be a CSP enewsletter subscriber. Easy peasy! We present the 2014 Smarty Pledge to Purge Giveaway! Win a Mom’s Closet Detox from Green Jeans Consignment & Simply Sassy Coach – a $500 value! Have a closet (or two) full of clothes and “nothing to wear”? Do you have Items sitting in your closet with tags you’ve never worn? Wear the same “thing” day after day? Chances are you are stuck in a fashion rut and probably have far too many “things” in your closet(s). Let us introduce you to the dynamic duo – Simply Sassy Coach and Green Jeans Consignment. Your answer to transforming your existing wardrobe and cashing-in on those items that no longer work for you (ahem… pre-baby True Religion jeans and that itty bitty Coach purse you swapped for a diaper bag after baby #1). WIN a 4-hour Closet Detox! Christine Nelson, owner of Simply Sassy Coach is a Professional Wardrobe Stylist. Christine will build a fresh new wardrobe using existing clothes you already own. She will help uncover any gaps in your collection and work with you to understand which colors and clothing lines bring out your very best to help you transform your look. A customized “Look Book” will also be sent electronically to capture your new outfits and help guide you moving forward. So what do you do with the fabulous fashion that no longer works for you? Consign it and cash-in with Green Jeans Consignment! Green Jeans Consignment owners and sisters, Cindy Williams and Dana Degan will pick-up and personally prep, enter and tag your purged inventory. All items will be stored and transported to both Spring 2014 sales in Lake Norman and SouthPark. Winner will be able to track her sales during each 4-day event and receive 75% of her sold items (normally 50% when using their tagging service). Checks will be mailed one week after each sale. Winner will also be invited to shop the VIP Pre-sales in both Lake Norman and SouthPark! To officially Enter the Simply Sassy Coach/Green Jean’s Mom’s Closet Detox, click here to fill out this survey. Winner/Participant must be willing to allow Simply Sassy and Green Jeans Consignment to enter their home/closet and be photographed and/or filmed. Green Jeans Consignment reserves the right to reject any purged item that does not meet qualifications. Rejected items will be donated to the Assistance League in Charlotte or Lydia’s Loft in Huntersville depending on winner/participant.Winner/Participant agrees to allow Green Jeans Consignment to sell any or all items given at time of pick-up in the Green Jeans Consignment Spring 2014 sales (Lake Norman & SouthPark). Green Jeans Consignment sets the price for each item and will discount the items at the half price sale unless noted by winner/participant. Winner/participant is responsible for picking up unsold items (date TBD). All items not picked up will be donated and will not be delivered back to the winner/participant. Winner/Participant understands that Green Jeans Consignment owners and sale volunteers will not be held responsible for any items that are donated, lost or stolen during or at the end of the sale. Christine Nelson is a Style Coach and Fashion Consultant whose mission is to transform wardrobes, making her clients look even more chic and stylish. As a former model, Christine has an innate sense of style and her vast experience in the fashion industry make her the go-to Fashionista when you’re looking to transform your wardrobe. At 6’3″ she understands the struggles that most women face when selecting clothes to flatter a variety of body shapes and sizes. She uses her artful eye to style her clients in colors that flatter them and selects appropriate clothing lines and proportions to enhance the client’s best features to build confidence in their personal and professional life. Christine has made weekly television appearances and served as the in-house Fashion Expert on the FOX network in Charlotte. Most recently, Christine has been recognized as a Top Wardrobe Stylist in Charlotte and selected by The CW Network to host her very own “Simply Sassy Coach” fashion segment on WCCB News Rising. For more information, contact Christine at www.SimplySassyCoach.com. Greens Jeans Consignment, a semi-annual, 4-day women’s shopping event, hosts sales in SouthPark and Lake Norman and features new and gently worn brand name and designer clothing, shoes and accessories from petite to plus sizes, including maternity. Consignors earn 65-75% back on every sale and receive VIP pre-sale shopping privileges. Shoppers can expect a wide array of brand name and designer labels including: St. John, French Connection, Coach, Trina Turk, Seven for all Mankind, Ella Moss and Kate Spade and everyday favorites like Banana Republic, J. Crew, Chicos and LOFT. Each season, Green Jeans attracts over 400 consignors and almost 3000 shoppers and donates hundreds of items to partner charities. These non-profits include: Dress for Success of Charlotte, Assistance League of Charlotte, The Give Back Boutique/Christian Mission of Mooresville, Lydia’s Loft/Ada Jenkins, The Junior Welfare League, Purses with a Purpose, The Sandbox, and the Pregnancy Care Center of Lancaster, SC and Lake Norman. For more information, visit www.greenjeanssale.com or find them on Facebook and Twitter! Win a Kids’ Room Detox from Sail Again Children’s Consignment – $500 value! If you’ve got kids, you’ve got overflowing closets, playrooms, toy boxes and bookshelves. You’d love to consign it to make a little extra pocket money, but just can’t find the time to sort it, hang it, price it and tag it all. That’s where we come in! 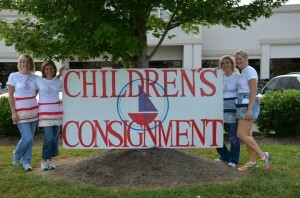 Sail Again Children’s Consignment is Lake Norman’s fastest growing seasonal consignment sale. Created and operated by four local moms who share a passion for high-quality children’s clothing and saving money, we have helped parents and grandparents all over the Charlotte and surrounding areas clean out and earn some extra cash. Let us do the same for you! As a winner, our Detox program helps you decide what you’re ready to part with, then let us be your “Valet Tagging Service”. Hand it all over to us to sort, hang, price and tag. We deliver it to our Spring 2014 “Sail” and you sit back and watch your inventory sell, sell, sell via our online tagging and inventory software. You will earn 75% of your total sales (normal share is 50% using our Valet Tagging program), and we provide all the necessary hangers, tags, fasteners, etc. at no charge. As if that’s not fabulous enough, we want you to be able to have the full Sail Again shopping experience. The winner will receive one VIP pass, which entitles the bearer to shop FIRST, before volunteers and consignors. As a bonus, your VIP pass includes a line jump pass meaning no waiting in the check out line. And the cherry on top: A $25 Sail Again gift certificate! To officially enter the Sail Again Kids’ Room Detox, click here to fill out this survey. Winner/Participant must be willing to allow Sail Again Children’s Consignment to enter their home/closet and be photographed and/or filmed. Sail Again Consignment reserves the right to reject any purged item that does not meet qualifications. Rejected items will be donated to a charity of Sail Again Children’s Consignment’s choosing. Winner/Participant agrees to allow Sail Again Children’s Consignment to sell any or all items given at time of pick-up in the Sail Again Children’s Consignment Spring 2014 sale. 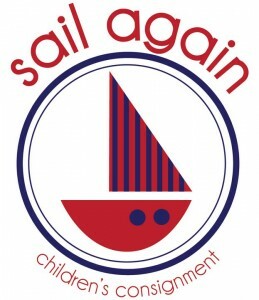 Sail Again Children’s Consignment sets the price for each item and will discount the items at the half price sale unless noted by winner/participant. Winner/participant is responsible for picking up unsold items (date TBD). All items not picked up will be donated and will not be delivered back to the winner/participant. Winner/Participant understands that Sail Again Children’s Consignment owners and sale volunteers will not be held responsible for any items that are donated, lost or stolen during or at the end of the sale. Sail Again Children’s Consignment is a partnership of four friends and Lake Norman-area Moms who share a passion for quality, name-brand and boutique-style children’s clothing. 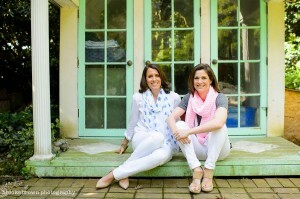 We also share a passion for saving money and want to share that passion with other Moms and their families. 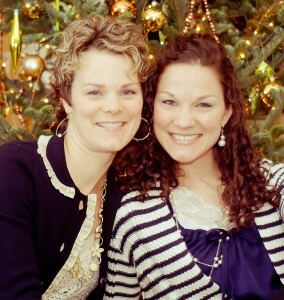 Win a Mom Zone Makeover from Simplicity including 5 hours of organizing – a $315 value! Longing for order in your life? Ready to reduce stress, improve productivity, and discover more time to enjoy life’s pleasures? There is no better time than January to create new systems and structures in your home. This package includes a one hour needs assessment consultation with Simplicity’s organizing expert, Laurie Martin, to review your goals, needs, and objectives, as well as four hours of paper and time management organization. You can find Simplicity Organizers on facebook and twitter. This package does not include the costs of organizational supplies that may be needed in order to keep your spaces maintained. To officially enter the Simplicity Mom Zone Makeover, click here to fill out this survey. Laurie Martin is the owner of Simplicity. 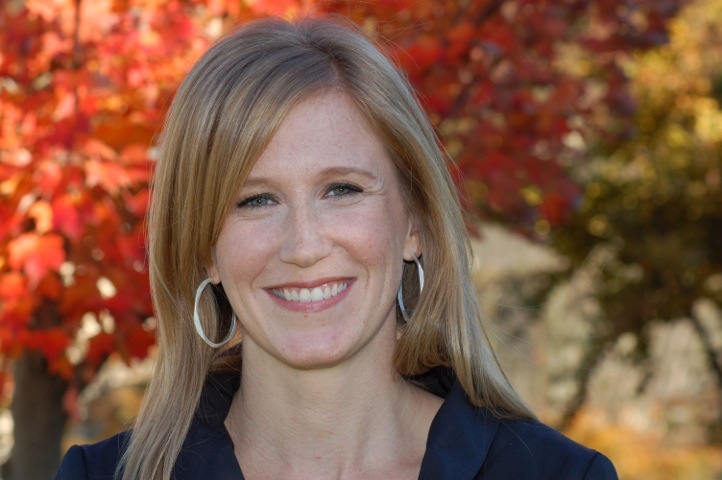 She is a certified professional organizer who seeks to calm chaotic homes and lives by specializing in creating organizational strategies and designing systems customized for each family. Win the Whole Tulip Pantry Purge including 11-day Winter Cleanse, e-book and Whole Tulip VIP Experience – a $500 value! Are you ready to transition to a healthy lifestyle but feel overwhelmed and confused about how to make it a reality? Let The Whole Tulip take you through a transformational experience that will leave you feeling amazing, confident and ready to make 2014 your best year ever! To officially enter the Whole Tulip Pantry Purge, click here to fill out this survey. The Whole Tulip requires that you be committed to starting the Winter Cleanse on Jan 23, 2014. The cleanse will run 11 days. All family members must be willing to purge and donate pantry items. Purchase new items on the grocery store tour. Know that The Whole Tulip will meet the family where they are and offer suggestions for healthy swaps based on the families needs. Adri Warrick and Carolyn Hallett are sisters and certified holistic health coaches. At The Whole Tulip, we believe that everyone deserves to be healthy. We also realize that the demands of everyday life often make being healthy a daily challenge. We are dedicated to helping people learn to eat better, navigate the crazy, confusing food system and, in turn, feel and live better. You can find The Whole Tulip at thewholetulip.com and on facebook. Good luck, Smarties! We’ll announce our four winners on Monday, January 20th!